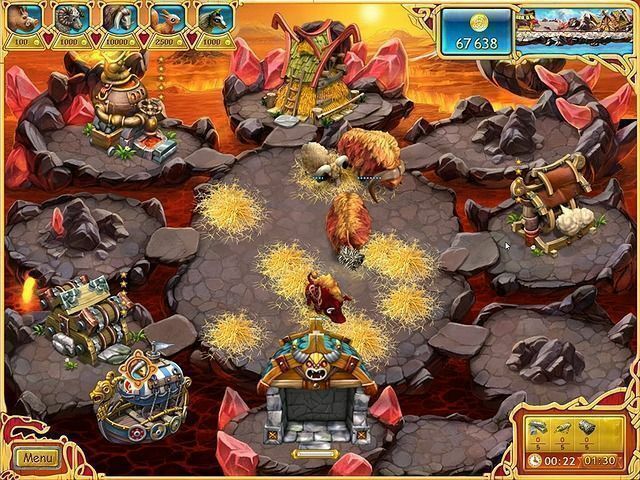 Here you can download the game “Farm Frenzy: Viking Heroes” on your PC without registration and for free. To download the official version of the game on the computer is very simple, you can do this by clicking the button Download Game. You can get the key to the game “Farm Frenzy: Viking Heroes” after starting the game by clicking the button Remove the time limit. 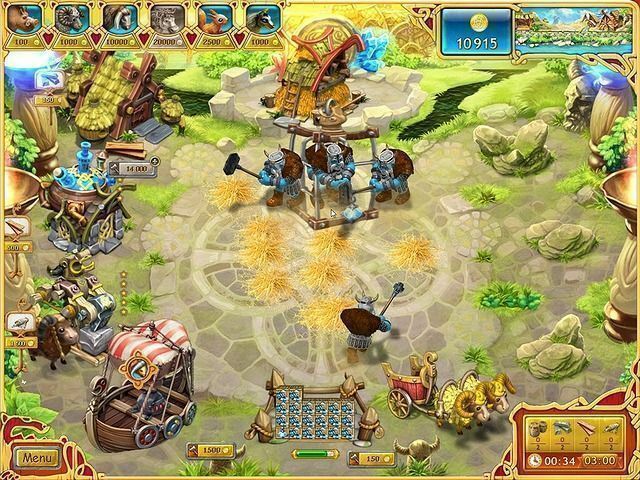 You will have to master farming skills on the land of sea pioneers and desperate northern warriors. Start with building a barn, a warehouse for storing food, and then get down to domesticating local animals — yaks, boars and bulls. Fill your barn with wheat, hay and get more colored ice. Feed your livestock quite enough, and the boars will help you with cleaning debris and mining iron ore, the sheep will share their wool and help you produce building materials. And the magic mare will even give you its golden horseshoe for yummy colored ice. Do not forget about field-harvesting — a fast squirrel will help you in this process. When your warehouse is full, get down to trading business: send some goods to the market, and process the rest of them to get a more valuable product. Earn money by selling wool, ore, horns and forward these funds to the construction of processing plants: a smelting plant, gun workshop, spool mill, and armorer’s workshop. Such profitable farm can be raided by bears and strangers from other lands. Take all measures to protect your livestock from invaders: use the cage to catch or get a dog — it will chase away all enemies in no time! And remember that you can turn everything to your benefit in business! Thus, you can set an invader free or you can send it to the market in order to teach this invader not to attack you again. Thoughtful and timely decisions will help you achieve success in business. 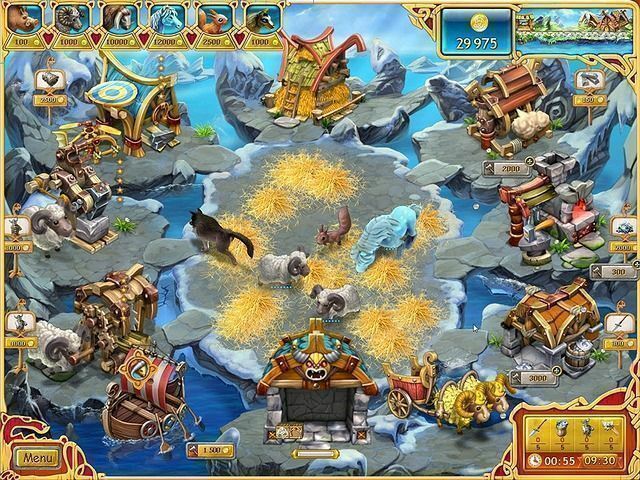 You will not only fill your coffers with gold coins, but you will get a reward as well: for purchasing all improvements, for catching and setting free harmful animals and for other activities. 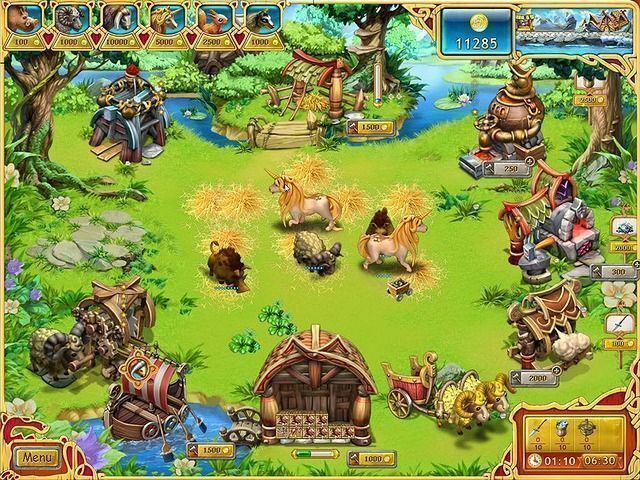 Become a successful farmer of the Viking Age!